Tag Archive | "news story"
We look at the ten most popular picks in Sky Sports Fantasy Football ahead of Friday night’s Premier League kick-off. West Ham are on the verge of completing the signing of Harold Moukoudi from Le Havre, Sky sources understand. Javier Hernandez marked his first pre-season appearance with a goal as West Ham beat Angers 1-0 on Friday. West Ham are in talks to sign four players from the Portuguese Primeira Liga, including internationals Moussa Marega and Yacine Brahimi. There were pre-season wins for West Ham United, Crystal Palace and Huddersfield Town on Tuesday night. Transfer Talk: Jose right to be unhappy? Posted in SkySports NewsComments Off on Transfer Talk: Jose right to be unhappy? West Ham do not want to sell Pedro Obiang with reports of Sampdoria closing on his signature, Sky sources understand. Transfer Talk: Is Maguire Utd’s priority? Posted in SkySports NewsComments Off on Transfer Talk: Is Maguire Utd’s priority? The new football season is just over a week away from kicking off, so take your seat for all of the live action on Sky Sports. West Ham picked up a comfortable 3-1 friendly win against Aston Villa on Wednesday evening, but Cardiff were beaten 2-1 by Rotherham. Crystal Palace are in talks with West Ham over the signing of midfielder Cheikhou Kouyate, according to Sky sources. Manuel Pellegrini says he “will not fail” in his bid to turn around West Ham’s fortunes. West Ham are willing to sell defender Reece Oxford for a fee of around £10m, according to Sky sources. West Ham Ladies have decided to drop ‘ladies’ from their team name and will be known as West Ham United women’s team from now on. From manipulating the bonus point system to pouncing on prices, 2016/17 Sky Sports Fantasy Football champion Dan Cox provides us with some essential tips to running your team. New West Ham signing Jack Wilshere says the prospect of reviving his England career was a big factor behind his decision to stay in the Premier League. 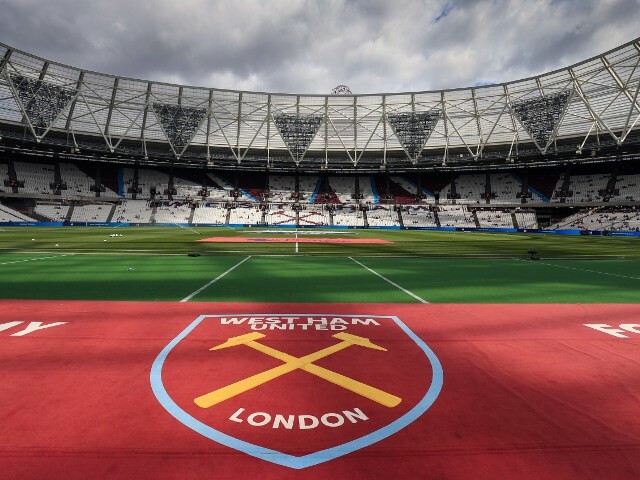 The Football Association has published written reasons for former West Ham head of player recruitment Tony Henry’s suspension from all football and football-related activity for 12 months. West Ham boss Manuel Pellegrini has knocked back interest from a number of Football League clubs in highly-rated midfielder Josh Cullen, according to Sky sources. Transfer Talk: Hazard in for Ronaldo? Posted in SkySports NewsComments Off on Transfer Talk: Hazard in for Ronaldo? West Ham have completed the club-record signing of Felipe Anderson from Lazio on a four-year deal. Lazio midfielder Felipe Anderson has passed his medical ahead of his move to West Ham, according to Sky sources. Lazio midfielder Felipe Anderson will undergo a medical on Friday ahead of completing his £35m move to West Ham, according to Sky sources. Unai Emery says he could not guarantee Jack Wilshere a starting role at Arsenal for “tactical and technical” reasons. Andy Carroll and Winston Reid will both be out for three months with injury, West Ham have confirmed.